Prisita Preetam, a class XI student of DAV Public School, Chandrasekharpur has been selected to participate in Indian Science Congress as the lone student from Odisha to be held at Osmania University, Hyderabad in its 105th session on January 6, 2018. 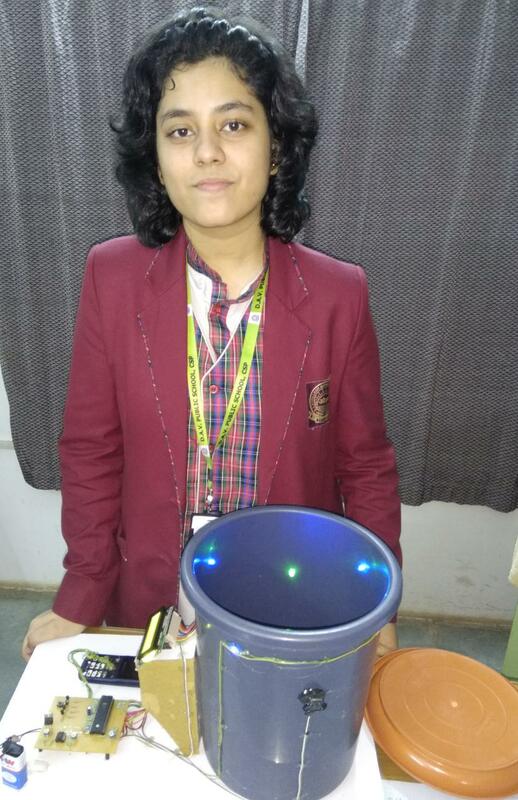 Her innovative project Aadhar linked Dustbin was highly appreciated by eminent scientists at the Indian Science Congress, Odisha Chapter Session held at KIIT University on 4th November last. Prisita has used very common materials like Integrated circuit, Mosfet, bipolar junction triode, capacitor, 9 V battery to execute her project which will be a big support to the Nation Wide Swachh Bharat Abhiyan. The school authorities congratulated Prisita for this phenomenal success to represent Odisha as the only participant at the highest science forum of the nation and wished good luck for her next venture.